American Ted Ligety has won his third consecutive race in Soelden earlier this afternoon, proving once again his dominance in the discipline. 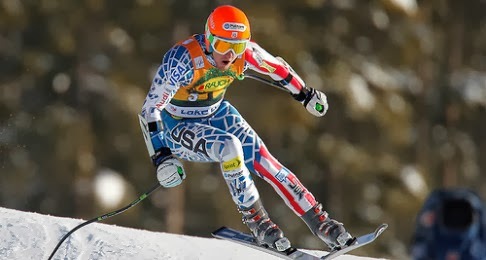 Ligety showed immediately his amazing condition when in the first run he collected a gap over the rest of the field of nine tenth of a second. Youngsters Pinturault (second) and Hirscher (third) were the immediate followers and then the gap rapidly widened, especially due to the difficult conditions caused by the strong wind and the mild temperatures. As proof of that it is enough to notice how, for the second run, only two racers in the top 30 did not qualify and one of them can blame a crash for that. Surely one of the most interesting and surprising runs was given by one man starting out of the elite group: bib 32, Bode Miller. The American star was starting a World Cup race after more than a year of absence and there was a lot of interest about this comeback. The excitement of seeing his return immediately raised eyebrows as his known-to-be crazy technique appeared to be as effective as prior his injury. No-one around his starting number had done anything alike, but he attacked the slope and bumps with the usual brave attitude and it paid off as he finished 13th (19th after the second run). The second run appeared to follow the pattern given by the yesterday’s Women’s race, as the worsening of the snow conditions favoured the comebacks from behind, like Defago who rose from 27th to 14th place as he ended up with the second best time of the second run. The best time was scored by French Steve Missilier, 13th after the first run, and with this amazing second leg he could challenge the podium as he finished 4th, tied with Norwegian Aksel-Lund Svindal. The French assault was not big enough to move any of the first-round best three names and nothing changed on top, with Ligety once more showing his class even under pressure. The podium was then sealed by the same drivers who finished at the top of last year’s Giant Slalom cup, a clear statement that they will be once again the ones to beat.